Arrived to Kusadasi in Turkey in the morning. We were on tour (through the ship) in the morning to Ephesus on Turkey's west coast 30 minutes from the harbour of Kusadasi, located almost off the Greek island of Samos. 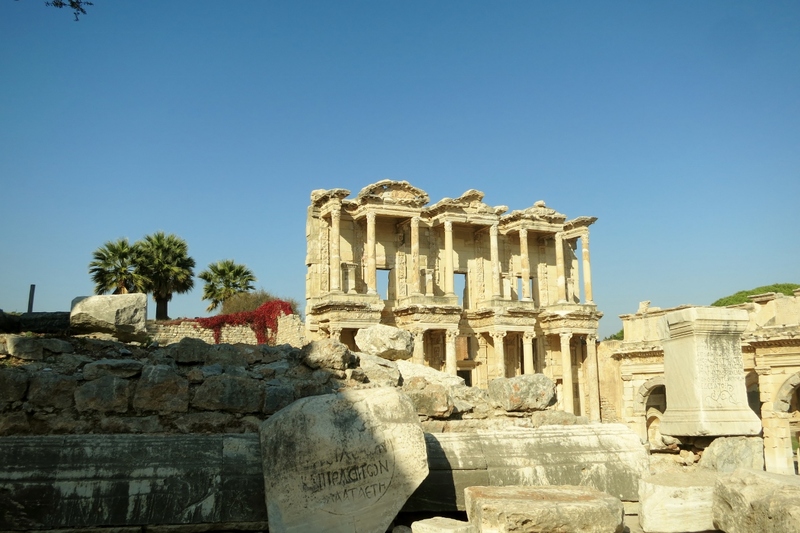 In ancient times, Ephesus was a rich city of great religious and commercial importance. The town was built in the valley between two mountains. It was located on the important silk route between Rome and the Orient. In ancient Ephesus was a city that was at the river Kaystros' estuary, but today is a town about 10 km from the coast. According to ancient legends, the city was founded in 1100 BC by King Androklos from Athens. 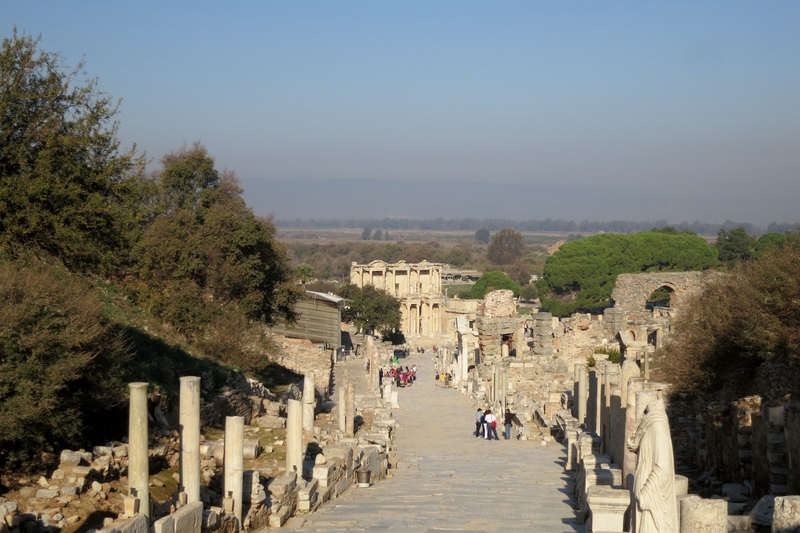 In the 500s, the port of Ephesus destroyed by mud from the river, and the city's economic importance decreased rapidly. The inhabitants fled due to malaria and since the city was buried in mud. Today, about 20% of the original Ephesus excavated (pictures) - streets paved with marble and ruins of the merchants' houses, temples and theaters. Back in Kusadasi we visited a factory that makes carpets of wool, cotton and silk - interesting to see how silk threads are extracted from the butterfly pupae how the rugs are hand-knotted and hear about and see the different qualities. After lunch we enjoyed the sun and a cup of coffee on the balcony. At 5pm we followed the exit from Kusadasi from our balcony and 6pm there was dinner in the 'King & I' dining room. After dinner we had a drink in the lounge and at 9pm we saw a Production Show with 'Royal Caribbean Singers and Dancers' - Dancin' Thru the Movies - as usual a great show with good music, dancing and singing.